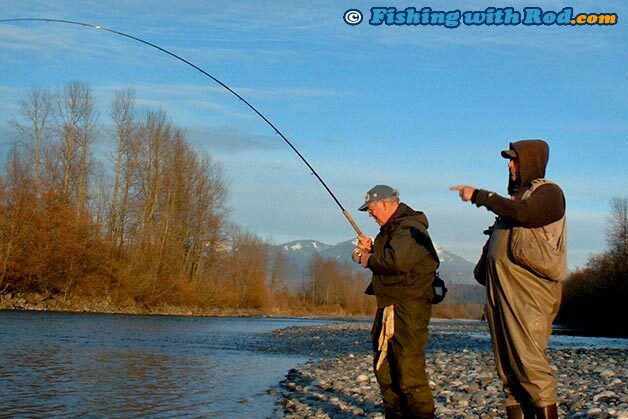 Fall is a fantastic angling season in the Pacific Northwest. Starting September, thousands of salmon converge into rivers as they make their way to the spawning ground. At any given time before Christmas, it is not uncommon to find two, three or even four different salmon species in the same system. This results in some exciting fishing, as you never know what you will hook. In this fall fishery, the most preferred species is coho salmon. These powerful, acrobatic fish tend to retain their freshness longer once they enter the rivers, therefore they are most anglers' primary target. The biggest, and most common mistake that many new comers make is failing to decide what they want to catch. For many, their first outing usually involves casting whatever they have in the tacklebox and hoping to hook whatever is swimming in the water at the time. This month's feature explains a very effective fishing method that has been employed by river anglers for many decades. Short floating is easy, exciting and addictive! It is a method that allows you to be selective when it comes to what species of salmon you want to target on any given day. 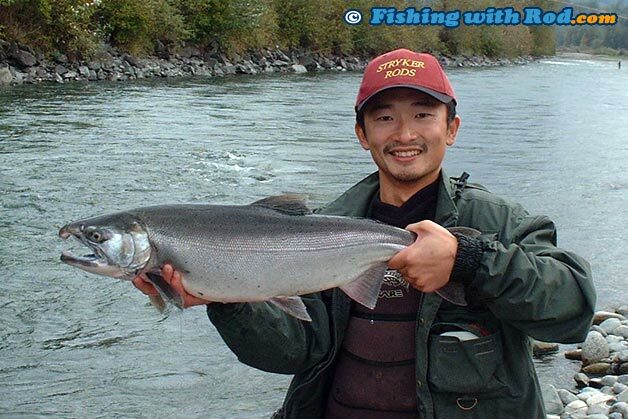 By specifically fishing for a particular salmon species, it allows you to become more successful. Before participating in river salmon fishing, one has to understand the basic biology of pacific salmon. Pacific salmon enter rivers during fall for one purpose, to spawn and die. This life strategy is incredibly unique, as they only have one chance to produce offspring, before dying off due to exhaustion in the process. When salmon reach the final stage of their adult life, their stomach cavity is completely filled with either eggs or milt sacs. This results in the shrinking of their stomach, therefore all feeding response turns off once they enter the river. However, saying a salmon does not bite when it reaches freshwater is completely false. They will bite, but for different reasons. Under such competitive situation where thousands of salmon are spawning at the same place, aggression is an expected behaviour. Salmon will fight off smaller trout or coarse fish that attempt to feed on their eggs, they will also destroy other eggs to ensure the survival of their offsprings. Knowing why they will bite, and how they will bite is very important, in any fishery actually. The objective is not just to embed a hook around the fish's mouth, but to actually entice the fish and catch it by tricking it to feed. Since we know their behaviour, we can develop fishing techniques that mimic the stimuli that trigger them to react to catch these fish successfully. It is also important to know where a salmon will bite. The morphology of a river is very complex, but when broken down it is very easy to understand. Each river can be divided into sections known as runs and pools. Runs are medium to fast flowing sections while pools are slower, deeper sections. A run can further be divided into three individual sections - head, main body and tail or tailout. The head of a run is usually behind some rapids. The boulders are larger, current is more turbulent. The main body is the mid section of a run, where it looks somewhat uniform, but the velocity of the flow differs at places due to underlying rocks. A tail is the end of a run where water slows down tremendously before entering some rapids. Fish are not stupid, they will rest whenever they have the opportunity. To conserve their energy as they move upstream, salmon will most likely to lay at tailouts or pockets of slow water along a run. Short floating is used in these waters as it allows resting fish to have the opportunity to spot your offering and take it. The term short floating may sound somewhat alien to some, but it actually derived a very simple technique that most of us have used before. If you have been fishing since you were a little kid, more than likely you have tried float fishing at least once in this lifetime. Float fishing basically consists of a float, a balance weight and a hook where your bait dangles. When a fish bites the hook, it pulls down the float, which acts as a bite indicator. When the float is pulled under the water, it alarms you that a fish is near your hook, and that's when you set the hook to bring the fish in. The technique is simplistic, but there are modifications that you can make to increase your catch rate. Short floating basically uses this idea, on a piece of moving water. The term "short" is used to described the length between the float and the hook. Most anglers believe that in order to get a salmonid to bite, you have to throw the bait right in front of their faces. That's not really the case. When short floating, your bait is always suspended between one to two feet above the river bed. As the bait drifts by, fish will swim up to grab your offering. This has many advantages. All salmon lie on the river bed when resting, whether they are fresh, or old. By suspending your hook above this school of fish, you prevent yourself from foulhooking older fish that are usually undesirable. Instead, you entice the fresher ones that will most likely be the only fish that are interested in your bait. The setup is extremely simple. In the next few sections, we will look at what specific rod, reel and terminal tackle that you need for short floating. A good short floating setup is easy and inexpensive. A typical entry level rod/reel combo ranges between $200 and $300. Of course, once you become addicted, you will start looking for more expensive setups that are available in the market, just like any other sport. A drift rod is needed when short floating. A typical drift rod ranges between 9 to 10.5 feet. This length is preferred because it provides more control when dirfting the float. When choosing a rod, make sure you read the label on the rod instead of just finding out what brand it is. Be sure to find out what pound test of line it will hand, what weight class it is in, and any other useful information. Make comparisons between models, pick up the rod to test it before buying it. The perfect rod for one person may not be great for the next. Both Shimano and Daiwa have come out with entry level drift rods that are under $100. Reels are important. Price differs between reels due to their smoothness, strength and weight. The more you spend, the lighter the reel is, the easier it is to cast with, and the more energy you save when fishing. A baitcaster is needed when short floating because its free spool feature allows your line to feed out smoothly as the float drifts down the river. Both Shimano and ABU Garcia have come out with a line of reels that are both affordable and durable. When it comes to fishing line, by the best only! After all, the fishing line is the only thing that is holding onto that fish you've hooked. Personally, Maxima Ultragreen is my choice. For the main line, or the line that goes on the spool of your reel, I usually choose 12lb test. This may increase or decrease based on the species that you are targeting, the rod and reel that you are using. The terminal tackle does not vary greatly. There are basically four items that you will need. These are floats, weights, swivels and bait. There are two objectives when using a float. One is to suspend the bait above the bottom, two is to use it as a strike indicator. A float sits on top of the water, and when the fish bites, it pulls down the float, and that is when you strike. A float can be as cheap as $!, but they can also be up to $8 such as UK's Drennan Pikers. Whatever you decide to use, there is one key rule that you need to remember. Don't use oversized float. A common mistake that people make is to buy the biggest float that is available in the market, because bigger float catches bigger fish, right? A smaller float has a better sensitivity, therefore it allows you to spot a bite sooner than a bigger float. Weights are needed to balance your float. There are two styles of weights that can be used, split shots and slliding weights. One big piece of sliding weight is ideal in faster water as it sinks down to the depth you want right away. Split shots spread the weight out more evenly, and is ideal in slower water. A swivel is needed to attach the main line to the leader. The leader, is the line between the swivel and your bait. This line is changed constantly based on water condition and size of the fish that you are targeting. "Bait" can vary slightly. 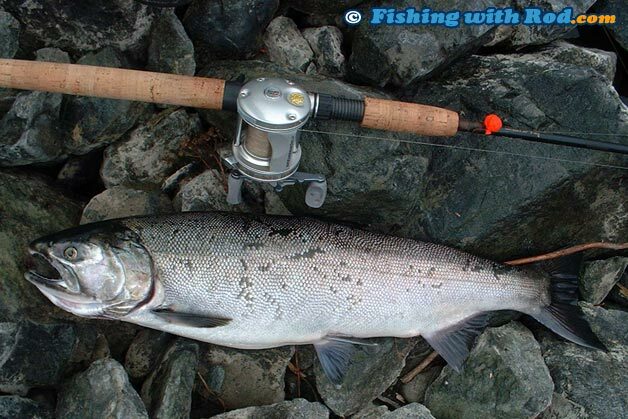 In general, if you are fishing for coho salmon, roe or roe sacs are the best offering that you can use. They are effective because they are natural, therefore fish tend to bite them more eagerly. Other "bait" that you can use include single jensen eggs, wool, spinners, spoons, spin n glows, corkies, or even flies. As mentioned earlier, terminal tackle may vary based on the species that you are targeting. Below is a general guide of what lines and hooks you need to use when targeting different species. Short floating is not a new technique, it is how float fishing was done traditionally. Recently, anglers have begun to float fish by adjusting the depth of the float way above the actual depth of the water. By dragging the weight and hook along the bottom, it delays the action of the float when you receive a bite. Suspending the bait a couple of feet above the river bed can have many advantages. It eliminates the chance of snagging up your tackle. This is environmentally friendly, as well as economical. Fishing, like all outdoor activities, will cause some negative impact to the environment. The best thing to do is to minimize that impact. By short floating, you are keeping less lead away from the river. A lead free river means a cleaner river. Short floating also eliminates the chance of snagging a fish. 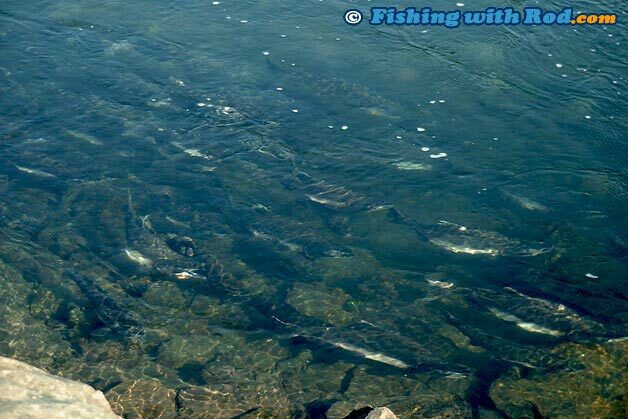 Most fish are laying right on the river bed, and by keeping the hook away from the dense population, you lower the chance of your hook brushing against fish's body. A snagged fish can be tiring to haul in, which means valuable fishing time wasted. It also allows you to fish precisely at a particular piece of water that you want to fish. This allows you to cover water more effectively. It's fun! Watching a float gets pulled down at a speed of a lightning is what is driving many addicted anglers back again and again. So give short floating a try, you maybe very surprised by how well it works! Don't be discouraged if you come home empty handed a few times, it's fishing after all. When done correctly, short floating can be incredibly productive and it often outfishes all other methods by several times.